APPLY TO BE A WPPA REP! Dr. Stewart I. Donaldson is Dean & Professor of Psychology at Claremont Graduate University. He is also the Chair of the International Positive Psychology Association’s World Congress on Positive Psychology in Los Angeles, June 27-30, 2013. He has published numerous scientific journal articles and chapters, and among his 10 books is “Applied Positive Psychology: Improving Everyday Life, Health, Schools, Work, and Society” (2011 with Mihaly Csikszentmihalyi & Jeanne Nakamura). With his doctoral students, he is currently synthesizing all of the peer reviewed empirical work in positive psychology to date which will be presented at the World Congress and appear in “Happiness, Excellence, and Optimal Human Functioning Revisited: Evaluating the Progress of Positive Psychology 15 Years Later.” Two of his recently published syntheses are “Taming the Waves and Wild Horses of Positive Organizational Psychology” in Advances in Positive Organizational Psychology in 2013, and “Positive Organizational Psychology, Behavior and Scholarship: A Review of the Emerging Literature and Evidence Base” published in the Journal of Positive Psychology in 2010. 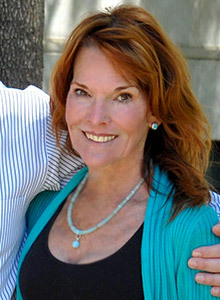 Dr. Shari Young Kuchenbecker, past psychology faculty member at Chapman University, obtained her Ph.D. in Developmental Studies from UCLA and B.A from Stanford University including research and work at Stanford’s Bing Nursery School. Conducting studies with UCLA Lab School, Stanford Cap and Gown, and elsewhere, her colleagues spread across the Western Region including UC Santa Cruz, UC Irvine, and UCLA. She is the Director of R.W. Research, Inc., a private organization focused on collaborative research, education, and facilitating flourishing in families and organizations via research supported pro-active interventions. 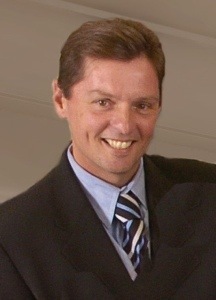 Dr. Kuchenbecker’s primary research and publication areas include developing our understanding of positive psychology principals as applied to everyday life and sports across the life span specifically focusing on empathy, altruistic behaviors, cognitive-emotional mediation and facilitation of prosocial actions, development of empathy, time perspective, and helping people discover can-do attitudes and behaviors as well as altruistic actions (self-efficacy). Our interconnected global community will be well served when each individual makes a commitment toward understanding one another, experiences positive sustainable compassion, and makes prosocial local and global community contributions. Meg A. Warren, MA, MBA, Ph.D candidate is Past-President of the Work and Organizations Division of the International Positive Psychology Association (IPPA), Editor-in-Chief of the Division Publication, Positive Work and Organizations: Research and Practice, Co-Founder and Associate Director of the Western Positive Psychology Association (WPPA), Chair of the 1st and 2nd WPPA Conferences, and is on the editorial board of the Journal of Leadership and Organizational Studies. As former Program Director and Assistant Professor of Practice at Claremont Graduate University, she developed the first graduate program in Positive Human Resource Development. Her research centers on positive work relationships, virtuousness in organizations, and workplace diversity and inclusion. 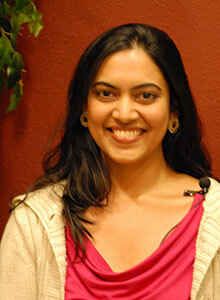 She has presented at numerous national and international conferences. She is the lead editor of the volume Scientific Advances in Positive Psychology (2017), and Toward a Positive Psychology of Relationships: New Directions in Theory and Research (forthcoming). Other recent publication include Taking Positive Psychology to the Workplace: Positive Organizational Psychology, Positive Organizational Behavior, and Positive Organizational Scholarship (2017), Expanding Opportunities for Diverse Populations in Positive Psychology: An Examination of Gender, Race, and Ethnicity (2015), Positive Psychology’s Contributions for Engaging Differences at Work (2016), Positive Psychology Research in the Middle East and North Africa (2015), Positive Institutional Approaches to Professionalizing the Field of Psychology in the Middle Ease (2016) To learn more, please visit www.megwarren.com. © 2019 WPPA. All Rights Reserved.